Here is a preview of the Christmas Eve Dinner. One of the featured main courses will be a Seafood Risotto. 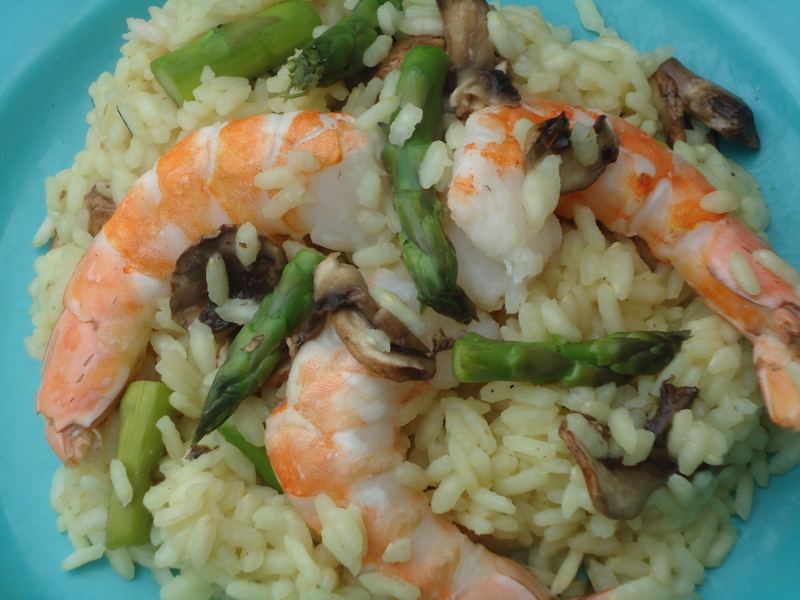 This dish is really simple, composed of aborio rice, white wine, butter, shrimp, tender spears and baby portabello mushrooms. Stay tuned, because there will be more dishes from our Feast of the Seven Fishes to follow!